Netent software is without doubt the leader in 3D slot machines and no other software has managed to take its place. Only Betsoft software has managed to come close with its slot machines with excellent quality animations. However, the Swedish Net Entertainment group isn’t just limited to slot machines it has greatly diversified its business. Netent is also a live casino operator which offers perfect technology for live roulette, baccarat and blackjack tables with live dealers. Even though Netent has great success and a worldwide reputation for its 3D slot machines, its roulette, baccarat and blackjack tables are little known to operators. This may be explained by the fact that Netent arrived on the scene after software such as Visionary Igaming, Ezugi and Vuetech or also by the fact that using Netent’s technology is more expensive than other software. 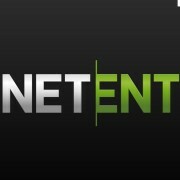 However, Netent’s live roulette, baccarat and blackjack are real gems as regards technology and graphics. Players quickly find their way around and the female dealers are very charming professionals. As far as we know, there are very few online casinos using Netent software for their table games but we don’t doubt that more and more operators will become interested in this superb software. Eypobet uses Netent technology for its traditional table games. It’s possible to play baccarat, blackjack and roulette hosted by real live dealers. Eypobet is a casino that is developing and expanding both its very popular slot machines and its gaming tables. Since it was launched, Paris Casino has been using Netent technology for its live gaming tables. Casino Noir which was launched running on Vivo Gaming software has enlarged its range of games by adding live table games from Netent. This is a good strategy from Netent especially since its slot machine software outstrips its competitors and no doubt but that this will happen in the online gaming market over the next few months. There are strong indications that online casinos wishing to enter the “live dealer” gaming market will opt for Netent and that very soon there will be more operators with Netent gaming tables.